For millions of years, our ancestors hunted and gathered fresh food from the ground and trees. It is only under a microscope that we have become aware of the billions of microorganisms that also occupy these foods and then our guts. When the agricultural age arrived, we discovered new ways of harnessing this invisible world of bacteria through the fermentation of dairy, vegetables, and grains that also provided a long shelf life without refrigeration. Now enter the modern age, where the war on germs has led to the rise of extreme sanitation of our hands, refrigeration of our food, and washing of our fruits and vegetables. Let’s not be mistaken, good sanitation has helped prevent the plagues of our past. Like every case of extremes, we are now seeing the effects of taking sanitation too far when we look at our microbiome. The word “probiotics” is derived from Latin and Greek, and literally means “for life.” The way we get probiotics is from the dirt, unwashed food and fermented foods and drinks. The bacteria in the dirt are different than the bacteria in fermented food. We have put a lot of focus and research on the probiotic strains including lactobacilli and bifidobacterium, but have neglected many of those found in dirt. These are the ones we are exposed to as children when we stick our hands in the dirt and then our mouths. Many people also haven’t heard of prebiotics. Prebiotics have been found to alter the neuroendocrine response, decreasing anxiety, and depression. Prebiotics are the fiber component of plants that help feed the probiotics and help them colonize. Certain people have a lower prebiotic production in their body due to the FUT2 gene found in the Nutrition Genome Report, and therefore require more of these foods to help colonization. This is especially true when multiple rounds of antibiotics have been used. Therefore, prebiotics and probiotics are necessary for a happy, diverse microbiome. Tiger Nuts (dehydrated root vegetables) are a food that have made a come back to the market from the Paleolithic age, a prebiotic that companies claim comprised 80% of our pre-human ancestors’ diet about two million years ago. 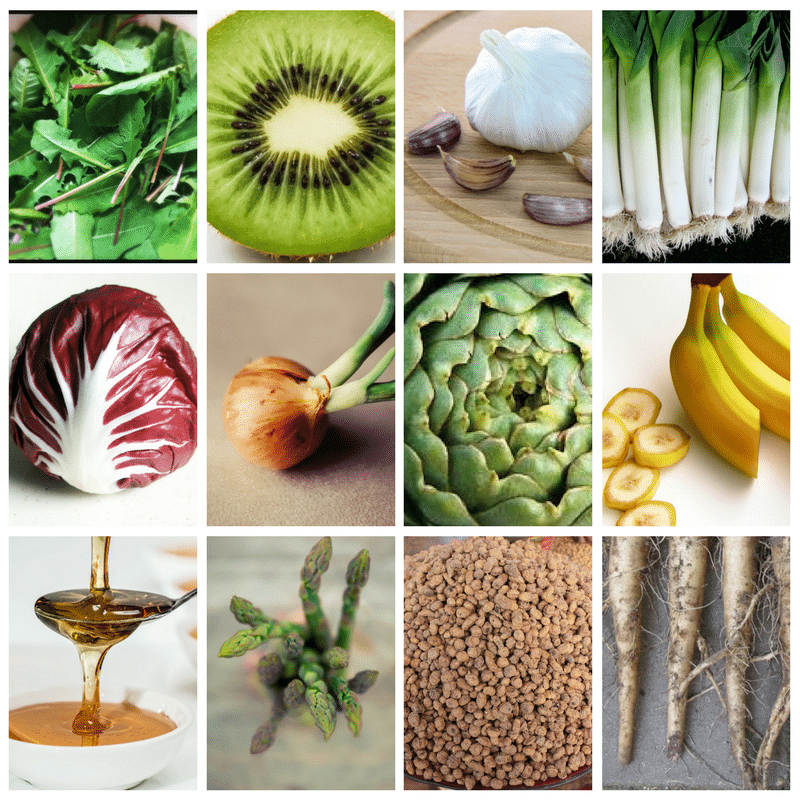 Dandelion greens, kiwi, garlic, leeks, radicchio, garlic, artichokes, bananas, yacon syrup, asparagus, pistachios and chicory root are all examples of prebiotics. Along with genetics, our gut microbiome is going to become one of the major medical revolutions in the understanding of our bodies and disease. We are made up of ten trillion human cells, but there are a hundred trillion microbial cells in and on your body. That means that the microbes are really the ones running the show. We only share approximately 10% of the microbes with each other. Combined with genetics, it is this percentage that we see the difference in weight, allergies, asthma, inflammatory bowel disease, multiple sclerosis, anxiety, depression, arthritis, autism and more. It is in the diet and enzymatic activity that may positively influence these microbes, and our genes show how susceptible we are. But as I’ve explained through Nutrition Genome, genes are fixed but the epigenome is flexible. Seventy to eighty percent of your immune system is made up of the beneficial bacteria living in your gut. Establishment of normal gut flora in the first 20 days of life plays a crucial role in appropriate maturation of a baby’s immune system. Hence, babies who develop abnormal gut flora and bad bacteria are left with compromised immune systems and allergies rise. We know that low-diversity microbiomes have been associated with those in hospitals and with worse health outcomes. We may find out that centenarians (those living over 100) have an extremely diverse and healthy microbiome, or perhaps there are “longevity strains” that are found in higher amounts in these individuals. The Health Spectrum of the Microbiome: What are the Benefits of Probiotics? I wrote an article titled Mental Health Starts in the Gut, Not the Brain. As you will see, we are just beginning to see how significant our bacterial populations are with our health. The peanut allergy rise has currently been blamed on the “hygiene theory.” Basically, we are too clean and too quick to use antibiotics. Our immune system is not given a chance to be exercised and made stronger and therefore overreacts. More specifically, evidence points towards poor gut flora as being the cause. One study in the Journal of Immunology found that an extract taken from E. Coli – which is a bacteria in our gut and becomes a problem when not kept in check – broke down the peanut proteins where the enzymes failed, and practically eliminated the allergenic response. I imagine it is the collective work of many different strains of bacteria that eliminate this response altogether. About 35% of children with moderate to severe atopic dermatitis have skin symptoms provoked by food hypersensitivity. One of the bacteria strains responsible for gum disease and tooth decay is called Streptococcus mutans. This showed up in the beginning of the agricultural age when grain and sugar intake went up. The same is true today when grain and sugar consumption gets too high in our diet. Before you start swishing mouthwash to kill off Streptococcus mutans, remember the lesson of antibiotics. While killing off the bad, you are also killing off the good. There is a balanced community, and it is better to increase the good guys than to drop a bomb on everyone. Streptococcus salivarius is the strain that prevents cavities and promotes healthy gums. When you eat nitrates (NO3-) from leafy green vegetables, they are converted to nitrites (1 oxygen is taken away to NO2-) by bacteria in the mouth. Nitrites produce nitric oxide (NO, another oxygen is lost). NO relaxes and dilates blood vessels, improving cardiovascular health and numerous other functions. Beets are major sources of nitrates, and the reason they have been shown to improve athletic performance and lower blood pressure is due to the production of healthy nitric oxide levels. However, the types and amounts of nitrate to nitrite conversion bacteria ranges person to person. Research has found that 4 out of 5 people who take nitrate-containing drugs for chest pain or congestive heart failure report severe headaches. Due to relaxing and constricting activity of nitric oxide, this mechanism is of major interest for migraines. Women experience hormonal migraines right before their period because estrogen and serotonin plummet, causing nitric oxide to constrict. Perhaps we will find out that migraine trigger foods are actually linked to their microbiome population. When the latest study connected L-Carnitine from red meat consumption to higher levels of cardiovascular disease due to TMAO, it had to do with poor gut flora, not L-Carnitine in meat. A similar logic was analyzed with isolated choline and blood clots, omitting the fact the choline is often packaged in food with DHA that naturally thins the blood. TMAO fuels growth of E. Coli and salmonella. TMAO is a precursor of dimethlynitrosamine, which is linked to liver cirrhosis and heart disease. When certain unfavorable gut bacteria are in higher amounts in the gut (from a poor diet), higher amounts of TMAO are produced. Increase your good gut flora, omega-3 fatty acids and folate-rich vegetables, and you lower the risk of red meat or choline increasing TMAO. New research has found that gut flora plays a role in expressing genes for myelin construction and formation for never fibers. Gut bacteria may have an influence on the body’s use of vitamin B6, which in turn has profound effects on the health of nerve and muscle cells. Microbes may have an influence on autoimmune diseases and therefore play a role in disorders like multiple sclerosis. I have had a few clients that have had elevated B6 levels on blood tests that couldn’t be explained. Both had very poor gut health and numerous rounds of antibiotics. If gut flora wasn’t there to utilize the B6, then it is conceivable that B6 would elevate. Combine this with low GABA and high glutamate, and it explains neuropathy after rounds of antibiotics. Indolepropionic acid is produced by bacteria in the gut and helps the pancreas produce insulin. People who eat more prebiotic fiber-rich food and less saturated fat encourage production of indolepropionic acid. Researchers discovered the important role the acid plays in diabetes when they assessed 200 people who were all overweight and were not processing glucose well. The major difference was that those who remained diabetes-free had high levels of indolepropionic acid in their gut. Bifidobacterium is capable of secreting large amounts of GABA, an inhibitory neurotransmitter to glutamine and glutamate, controlling an imbalance found in numerous mental health issues. The Stanley Foundation Neuropathology Consortium found that levels of glutamate were elevated in individuals with Bi-Polar and Major Depressive disorder compared to controls. Studies have found that lactobacillus influences GABA levels in certain brain regions, leading to lowered stress hormones, anxiety and depression. Fermentation of rice bran, mung beans, buckwheat sprouts, and lentils, is known to increase the available GABA content significantly. Lactobacillus hilgardii also produces GABA, as does red yeast rice. Poor gut bacteria leads to an increase in endotoxins like LPS, which can decrease the availability of tryptophan and zinc, thereby negatively influencing neurotransmission. Could gut bacteria, endotoxins, and GABA be one of the keys to the underlining cause of numerous mental disorders? Or better labeled, bacterial deficiencies and toxicities? You can read more about this fascinating topic in the article Mental Health Begins in the Gut, Not the Brain. If you have wondered how lean people are able to pack away the calories without gaining weight, here is your clue. Along with genetics, the microbiome is different. Human studies have found that people who are lean and people who are overweight have different microbiomes. Those who are obese have more firmicutes and fewer bacteroidetes; the two families of good bacteria. But just like the powerful effect of epigenetics on the genome, you can improve your microbiome. When you think about the job of gut bacteria and your digestion, it shouldn’t be a surprise that a more diverse microbiome is going to be more efficient at aiding in the digestion of your food and detoxification of excess fat. Guess what food was the most associated with weight loss in a New England Journal of Medicine study? Yogurt. Evidence suggests that changes in colonic bacteria might influence weight gain. The strain of bacteria that has been found in studies to be the most effective for weight loss is Lactobacillus gasseri. In a randomized controlled trial, fermented milk containing Lactobacillus gasseri with 210 healthy Japanese adults with large visceral fat areas. Abdominal fat when down 8.5%, and BMI, waist and hip circumferences, and body fat mass were also significantly decreased from baseline at week 12. After stopping the probiotic, all the weight came back. Researchers also found that weight gain is lowest among people who sleep 6 to 8 hours a night and is higher among those who sleep less than 6 hours or more than 8 hours. This is an interesting point because good bacteria influence the production of GABA, and GABA is produced in higher amounts during deep sleep. When GABA is too low, glutamate causes your mind to race at night. Bifidobacterium is the most important for sleep is due to its ability to produce large amounts of GABA. The majority of the research so far has been done on lactobacillus and bifidobacterium. Other strains like Lactococcus, Enterococcus, Saccharomyces, S. Boulardii and Propionibacterium also have unique health-promoting effects. What about soil-based probiotics like Prescript-Assist? It is my understanding that many of these strains haven’t been studied yet besides bacillus. I think our understanding of the microbiome is in its infancy, and we have 8 million bacterial genes to work through compared to 22,000 genes in the human genome. Lactobacilli are the dominant bacteria of the oral cavity, gastrointestinal tract and female reproductive and urinary system. This genus of bacteria has been found to improve the nutritional value of food, control gastrointestinal infections, improving digestion of lactose, control serum cholesterol levels, and control some types of cancer. One interesting fact is that lactobacillus as a genus can render iron unavailable for pathogenic microorganisms. Therefore, if you have very low iron levels despite iron-rich food and supplementation, you likely have a poor lactobacilli population and pathogenic bacteria are feeding off of iron. 1. Lactobacillus reuteri: L. reuteri produces reuterin (3-hydroxypropionaldehyde), a broad-spectrum antibiotic, active against bacteria, yeast, fungi, protozoa, and viruses. In infants with functional acid reflux, L. reuteri reduced gastric distension and accelerated gastric emptying. Research found a significant effect of L. reuteri on bone health via decreasing tumor necrosis factor (TNF) levels and reducing bone resorption. 2. Lactobacillus casei MTCC 1423 strain as well and Enterococcus Faecium SF68: Effective in eliminating Giardia infection from mice. 3. Lactobacillus salivarius LS04: Found to reverse atopic dermatitis symptoms in some children. 4. Lactobacillus sakei: This strain is found in kimchi and the alcoholic drink sake. Researchers have found the sinuses of healthy people have higher levels of lactobacillus sakei that seem to help the body naturally ward off sinusitis. In laboratory experiments, inoculating mice with this one bacterium defended them against the condition. 5. Lactobacillus plantarum: A folate producing strain common in fermented vegetables and saliva. It enhances the expression of genes involved in tight junction signaling to improve intestinal barrier function, lowers high LDL cholesterol, lowers breast cancer risk in rats, influences GABA and serotonin, lowers fibrinogen, and has been found to be effective in abdominal pain and bloating in IBS patients. 6. Lactobacillus gasseri: Improves glucose tolerance, lowers body weight by increasing the carbohydrate burn rate and shortens the duration of a cold. 7. Lactobacillus delbrueckii: This species has the strongest antioxidant activity. High levels of the endotoxin LPS from poor gut bacteria can elevate inflammation and oxidative stress. Bifidobacteria are generally considered to synthesize folate (all 44 strains), biotin, thiamine, nicotinic acid, pyridoxine (B6), riboflavin (B2), and B12. It produces the majority of GABA, requires iron and prebiotics, and is highly sensitive to glyphosate (GMO corn and soy). It plays a major role in carbohydrate metabolism in the colon. 1. Bifidobacterium longum: Mice studies have found that bifidobacterium longum normalizes anxiety-like behavior, hippocampal brain-derived neurotrophic factor (BDNF) and activate the vagal nerve in a colitis model. A rat study found that it reduced the inflammation from gliadin, the gluten protein found in wheat. In children, it improved the symptoms of allergic rhinitis and allergic asthma and prevented constipation. One study found it shortened the duration of a cold along with lactobacillus gassari and bifidum. Another study showed that longum reduced depression in IBS patients by altering brain activity. Results from one study using B. longum and B. breve in the presence of prebiotics significantly reduced the growth of C. diff. 2. Bifidobacterium bifidum: Bifidobacterium bifidum is a well-known species that has been shown to improve the immune system and IBS symptoms. 3. Bifidobacterium breve: Lactobacillus casei and Bifidobacterium breve have been found to reduce candida in the oral cavity of the elderly. B. breve has been found to increase mineral solubility, producing the phytase enzyme by bacteria to overcome the effect of mineral blocking phytate, reduces intestinal inflammation, and increases bone mass density. 4. Bifidobacterium lactis: A double-blind, randomized, placebo-controlled trial found that a mixture of Bifidobacterium bifidum, Bifidobacterium lactis and Lactobacillus acidophilus given to women starting at 4-8 wks before delivery and continuing until 6 months after delivery reduced the incidence of eczema. In college students, lactobacillus rhamnosus, Bifidobacterium animalis and lactis were found to reduce the severity of upper respiratory infections and missed school days. B. lactis has also been found to be beneficial for constipation in women and children. A good probiotic supplement should contain the most studied strains, be alive, resistant to low pH/acids and thereby persisting in the intestine and able to adhere to the gut epithelium and have a high probiotic count. How many cheap probiotic products are dead upon delivery due to poor production and storage? You do get what you pay for with probiotics. Probiotic supplements are best rotated as needed based on your digestive health. It is most likely not necessary if your digestion is healthy and you are eating prebiotic foods, fermented foods and drinking fermented drinks. VSL#3 is the gold standard of probiotic strains and is at the top of the best probiotics on the market. It requires refrigeration and incorporates multiple levels of protection for the bacteria. VSL#3 has been the main probiotic used in our clinical practice for numerous years for digestive disorders. VSL#3 capsules are about 10 times more potent than the average probiotic. One study found that probiotic therapy using a mixture of probiotics (VSL#3) was shown to increase the total number of intestinal bacteria and to restore the diversity of the bacterial microbiota in patients. 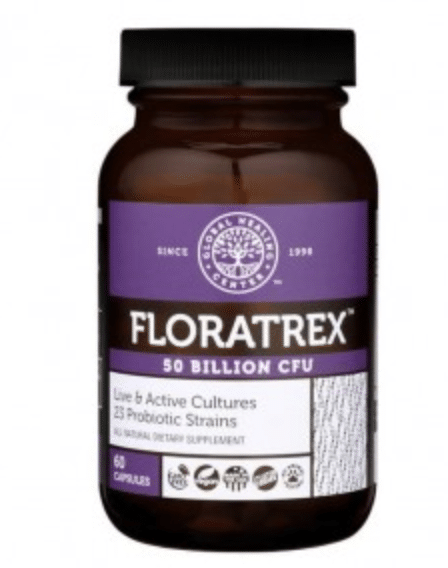 Floratrex is a unique formula with 23 strains of probiotics (including Lactobacillus gasseri), a prebiotic (inulin) and fulvic acid. Fulvic acid is a component of soil that has a lot of impressive qualities, including improving digestion, increasing nutrient absorption and assisting hydration levels. 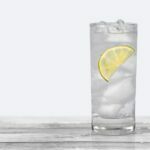 However, make sure you are not drinking chlorinated tap water with anything that contains fulvic acid because it reacts with chlorine to create carcinogenic compounds. BioKult became a popular probiotic due to its use by Dr. Campbell-McBride, author of Gut and Psychology Syndrome. This formula is the only one on the list that contains Lactobaccilus gasseri, the bacterial strain associated with weight loss. It also includes prebiotic fiber. This formula does not require formulation and claims shelf stability for two months in warm temperatures. This formula uses both a prebiotic and probiotic combination. Pro-Kids has patented controlled-release technology and claims a 60% delivery to the intestinal tract versus 4% of many commercial probiotic formulas based on in-vitro testing. This product uses a combination of 7 strains of probiotics, prebiotics, vitamin D and omega-3. Thanks for the feedback and glad you found it informative. This article was a few months in the making, so I’m happy to finally share the research. Hi Alex, what a coincidence, I was just breaking my head looking for a good probiotic formulation and received your newsletter with this great article. Thank you so much. I love the article amazing as always I have a question what do you think of the Garden of Life Dr. Formulated probiotics? I’m also wondering if the VSL#3 is ok to take for daily use or is it best to use if you have a condition where you need a very strong probiotic? Thanks for the feedback. Many of Garden of Life’s formulations look well formulated, but I haven’t been that impressed in terms of results from clients using it compared to VSL#3. That said, perhaps Garden of Life’s line is okay for those in generally good health. Yes, VSL#3 can be used for daily use and the dosage ranges based on your needs. I have kept it on hand when a stomach flu is going around or in case of food poisoning. I did just add the Garden of Life Fitbiotic to the list because it contains lactobaccilus gasseri for weight loss, and I was having trouble finding a good product that contains it. Ok thanks sounds good I was using the Garden of Life probiotics I’m going to try the VSL#3 thanks for all the information. What about soil-based organisms, like prescript-assist? Hello Alex – GutPro looks like a great probiotic. Please check it out and see if it is worthy on the list. They have a few different products (Primal, Infant, Yeastbiotic etc.). I found it on Corganics webpage. Also, what is your view on supplementing with digestive enzymes. There seems to be less discussion about enzymes, relative to pre and probotics. Thx. Yes, their products look well thought out and formulated. Good find on another probiotic that contains L. gasseri. I also noticed they share my opinion on soil-based strains that haven’t been studied and how long to use them. They only include two strains that have research in the Primal Soil product and recommend to only use it for less than 3 months. Regarding enzymes, they are helpful for those with digestive issues and low stomach acid (along with betaine/HCL). Digestive enzymes become more necessary as you get older, especially after 70. If you have a good percentage of raw food and fermented food in your diet, you are sparing your own digestive enzymes. Fermented foods and drinks provide both probiotics and live enzymes, making them ideal. 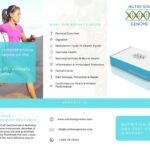 There is a book called Enzyme Nutrition by Dr. Howell, and his theory was that aging was strongly related to your enzyme bank and how much you draw from it. So he was a major proponent of taking digestive enzymes with meals to spare your own. I think Friendly Force looks like a solid formula. I haven’t seen the research behind marshmallow root protecting probiotics but would be interested in reading it. is VSL#3 suitable for seniors? what is your opinion on Dr. Axe probiotics? Yes, VSL#3 is suitable for seniors. I think his probiotic products look well-formulated. I know he focuses a lot on gut health, so I’m sure he put a lot of research into it. Hi Allex, I understand that some probiotic bugs can cause inflammation, and some don’t. Please tell us the ones that don’t. I’m fighting hives, candia Thanks !!! Great question and one that is a little complicated to answer. I don’t think the research has really been able to pinpoint a full understanding of this yet. Right now we have theories and one of the theories is that certain strains increase histamines (Lactobacillus casei, Lactobacillus delbrueckii, Lactobacillus bulgaricus, bacilli bacteria, acetic bacteria and yeast in fruit wines) while others reduce histamines (B. infantis, L. plantarum, B. longum, staphylococcus carnosus FS19, Bacillus amyloliquefaciens FS05, Lactobacillus sakei, and Vergibacillus sp.SK33). L. reuteri is an unusual one because it is able to convert L-histidine into histamine but this actually suppresses pro-inflammatory TNF-alpha production. Interesting enough, fermented foods rich in diversified probiotics are higher in histamines. Ultimately, I think that it is the underlying alteration of the digestive system like leaky gut or SIBO and the immune system along with genetic differences in histamine genes like DAO and HMNT (and receptors) that determine histamine overload because the diversity of the strains should produce a neutral response. I think there may also be a dysregulated hormone connection because DHEA plays a role in improving the resistance to viral, bacterial and parasitic infections. It appears some people with very sensitive guts respond better to using only specific histamine reducing strains on their own in the beginning to help balance the population. Hi, what do you think about Renew Health, probiotics? Targeted for specific condition and regular ones? I have used these with clients and they appear to work well. I haven’t tried this one myself or with clients, but I’ve heard positive things. I like that they use clinically documented strains. Five billion is the minimum needed that research has been shown to be effective. As soon as I get more feedback, I will consider adding it to the best list. When should one take their probiotics? I heard two sides to this question, one being you take it before food since there isn’t that much stomach acid to kill the bacteria in the probiotc; and the other being you take it after eating food because the food that was eaten takes most of the stomach acid produced when eating food and leaves none to little to destroy the bacteria in probiotics. What has been your experience with your patients,yourself, and clients on which is a better time to take probiotics, after or before food? I think this is very important and should have been addressed in the article. Great question. My opinion is that they are best taken with food, with a focus on prebiotics in the meal. The survival rate has been pinned at 20-40% based on the strains, gastric acidity, and bile salts. The challenge is adherence to the mucosal cells – which certain strains appear to be better than others – therefore blocking harmful bacteria from attaching. The small intestine is more easily influenced, but prebiotics increases the ability of probiotics to colonize in the colon and not just pass through. Since you would consume probiotics with food – as found in fermented foods and drinks – it makes sense to me that supplemental probiotics should be taken with a meal for both colonization and protection against bad bacteria. It has been my experience with clients that taking probiotics during a meal or after yields the best response in terms of noticeable results in digestion. Your articles are incredibly informative. I recently came across the Elemental Wizdom probiotics, which claim to be “human specific strains”… any thoughts on this? Also, is there a reason why we need to continually replenish the bacteria and take a probiotic daily? If they make our insides “home” and we supply plenty of prebiotics for them to eat, why the need to add more? Are they different from other bacteria which multiply rapidly in the right environment? Good question. It really depends on your digestive health, medications, use of antibiotics and other health issues. Some people require a constant supply due to poor colonization while other people may only need some fermented foods and drinks here and there, along with prebiotic foods and a diversified diet. I’ve seen clients that have had daily probiotic supplements change their life, while other people may only notice the benefits when their stomach is off and take them. The types of the same bacterial strains are where things get a little more complicated. You may have also seen strains that have a designated number next to them or others that do not use dairy for culturing. So there are numerous sources of a specific strain of lactobacillus acidophilus for example. Companies will claim one is better than another, but to be honest, I don’t know the truth yet. People appear to be getting results with each form. It would be nice for a microbiologist to weigh in and explain that there is indeed an advantage of one version over another. The probiotic quality is extremely challenging to assess sometimes. You have to know their manufacturer and companies don’t often give that information. Based on the pricing for 16 strains, I can’t imagine the quality is very high. My husband and I are both taking probiotics: I am taking Garden of Life’s Raw Probiotics for women (refrigerated), and he is taking Garden of Life’s Raw Probiotics for men (refrigerated). How do you feel about the quality of these? I am considering switching us to VSL#3. However, that could be quite pricey in the long run. I have also considered, using VSL#3 for a month or two and then switching to Bio-Kult’s probiotic and/or Garden of Life’s Dr. Formulated Fitbiotic (as we are trying to lose some unhealthy weight too). My husband has a high stress job, frequent headaches, fatigue, low T, has put on weight, discouraged, and has other mental stressors. He believes sugar to be headache trigger, but still eats it from time to time. I think to start with, we have some repair work to do. What is your recommendation? Is there a benefit to switching probiotics in this manner? Yes, I think that for most people, they can use VSL#3 in the beginning for the first month or two and then switch to a less potent probiotic for maintenance depending on their health issues. For Garden of Life’s Raw Probiotics, I would prefer that they just make it a probiotic and enzyme blend. I’m not sure where the vitamins and minerals are coming from, but if it is like their other product, it is from yeast fed USP-vitamins in a broth. Repair starts with the basics of good foundational diet and throwing anything away that makes you deviate, healthy sleep, exercise and completely turning off of work for some enjoyment. If your husband has reached that point with his health, it is not worth the consequences if he continues down that road. My dad recently finished chemo, and has had Whipple surgery which removes large parts of your digestive system and part of your pancreas. This obviously causes many digestive issues as well as pancreatic insufficiency and malabsorption, for which he’ll have to be on prescription digestive enzymes for life. Do you agree with the “start slow” approach when the digestive system is badly damaged, or could he jump right into something like VSL#3 without it causing additional digestive problems? Excellent question. He will definitely need to start slow. We have had clients start with literally a tiny pinch of an opened capsule and slowly work up each week. You could start with a pinch of a single strain and see how he does before moving to VSL#3. I get bombarded by offers from these people, is this a scam or a legitimate decent product. Thanks for all the articles by the way, its real easy to follow even if the products are not that easy to get in UK. They have a pretty aggressive marketing campaign. I guess that’s what happens when a bodybuilder sells a probiotic. There are some questionable claims here regarding yogurt and refrigerated probiotics. I can’t find an actual label, but from what I can tell, it is only L.plantarum in a very potent dose. I wouldn’t recommend supplementing an isolated strain in a high dose for an extended period of time. The key to healthy gut flora is diversity. Glad you are finding the articles useful and easy to follow. Thanks, took your advice from the article, bio kult is available from a local pharmacy here so I purchased that. Keep up the good work. Do you have a specific recommendation for a safe probiotic to take during pregnancy? I am also interested in whether your recommendations for probiotics vary for pregnant women or if this list is still applicable? I’ve heard anecdotal evidence from moms that taking probiotics during pregnancy and breastfeeding helped their babies avoid colic or common digestive issues found in infants due to their immature systems. Do you know if there have been any studies around this topic? I’m not aware of any studies that have been done on probiotics during pregnancy. Since the strains are all pretty similar in all the formulations, I wouldn’t say the recommendations would change during pregnancy and that this list could still serve as a guideline. My opinion is that there would be many benefits to using probiotics supplements or probiotic-rich food/prebiotics during pregnancy. Can I get clarification about a safe probiotic to take during pregnancy? Do you recommend any of your top adult picks for a pregnant woman? Thank you! I really appreciate your research and you efforts to answer questions! As far as I know, the guidelines don’t change in regards to one probiotic being safer than another. There can be a wide range in quality and potency though. I think the strength, strains, and necessity for a probiotic supplement will depend on your digestive health and sensitivities. Probiotics in general have a good safety profile during pregnancy. VSL#3 is the one you will see being used in studies the most often. Here is one study. You are very welcome! Alex, do u care to look at the probiotic and tell me what u think? It is getting harder to distinguish between different probiotic products. From an outside perspective, it seems fine. Without direct experience in practice, I can’t verify its efficacy. Thank you so much Alex for all of your work!! Based on your recommendations, I will be purchasing the Hyperbiotics Pro-kids product for my two boys, ages 3 and 5. Based on your recommendation, I also have the bio kult in my shopping cart, however i wonder if you could weigh in on the Hyperbiotics Pro15. When looking into your recommendation for the Pro-kids I found their adult probiotic and it seems great from what I can tell, plus it is less expensive than the Bio-kult. Yes, I think the Hyperbiotics Pro15 also seems like a fine choice. I didn’t realize this one had L. Gasseri in it. It also contains Lactobaccillus Gasseri! I think this is a very interesting formula, especially with the inclusion of fulvic acid, a prebiotic and a few unique bacillus strains. I had added it to the article. Thank you for bringing it to my attention! Hi, I have a question on FITBIOTIC: can I drink just right the packet only ? Or it needs to shake/mix with beverage? It’s ok to mix it only in the water ? With meals or between meals ? It is a powder, so you would want to add it to liquid (can be any liquid) or you could add it to your meal. It’s better to take in the morning, afternoon or at bed-time ? It is beneficial anytime, but I like to say with dinner because it assists digestion for the evening and helps give a GABA boost before bed. I don’t have any health conditions and a relatively good digestive system. I’m wanting to take probiotics just for the maintenance of good health. Is it best and okay to be on probiotics indefinitely? Or just for a period of time? You can get diversified gut flora with prebiotic foods, diverse plant intake, and fermented foods and drinks. Whether you require probiotic supplements daily or for brief periods of time really depends on the individual. What do you think of the Plexus products said to promote gut health- Slim, ProBio5, and VitalBiome? The VitalBiome looks like a good product, and better than the ProBio5. The Slim product isn’t impressive. Formulations like these rely on hype ingredients that really haven’t panned out in research (green coffee bean extract, garcinia cambogia) and isolated prebiotic fiber, and then charge you $87.95. I think you could get better results drinking green tea and eating foods rich in prebiotics daily for a fraction of the price. Hi, this is great! I was using Gundry’s Prebiothrive and ran out. I recently saw that VSL#3 is great and would like to try it. However, I thought Gundry’s was good because it is both Pre and Probiotic in one? If I take VSL#3, should I take a Prebiotic as well? If so, which one is good to take in tandem? Correct me if I’m wrong, but isn’t Prebiothrive only prebiotics? Prebiotics on their own are excellent for building a healthy microbiome. If you are having any digestive issues, taking (or eating) prebiotics along with probiotics is the best combination. If your digestion is healthy, you may be able to maintain it just with prebiotics and probiotic-rich foods/drinks and not require supplementation. I think VSL#3 is great for brief periods of time to help correct an imbalance, then maintained with a diversified diet. Since Prevotella Histocola has helped Inflammatory Arthritis in Humanized Mice and recent studies indicate it is helpful, What Garden of Life Product has the most strains of Prevotella Histocola? Or is another article more relevant for Inflammatory Arthritis? I’m not familiar with a product that has the Provetella Histicola strain in it. My understanding is that a diet high in diversified fiber is what increases its prevalence in the body. Research has found that Prevotella is higher in non-industrialized populations whose diets contain more dietary fiber, such as African children, Hadza hunter-gatherers, and the people of the Amazonas of Venezuela and rural Malawi. Would VSL3 be a good choice for Leaky Gut Syndrome? Yes, I think VSL#3 is a good choice as part of your whole protocol for leaky gut syndrome. You may need to start with very small amounts. This formulation seems like overkill to me and a potential gut bomb. The research is moving towards understanding how all of these strains interact with each other because it still is an unknown. Incredibly interesting (and thorough!) article and comments. 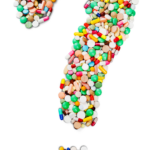 Having being dealing with chronic idiopathic constipation for over 40 years, is there any specific strain you can recommend that would help? Handling it now with OxyPowder, a magnesium oxides product that definitely helps, but I have to believe some type of probiotic combination might help. So glad I found your site! I don’t believe there is a specific strain more responsible than another. It appears to be more of a group effort with an emphasis on the diversity of prebiotic fibers in the diet. Magnesium citrate is another one you may want to consider because it is effective for constipation, while also having a higher percentage of absorbed magnesium than oxide. It also helps detoxify aluminum. Another product you may want to explore is called Movement by Chakra Foods, which contains fermented enzymes.